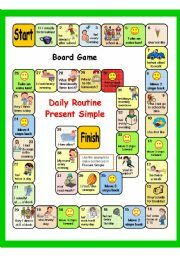 PRESENT SIMPLE + DAILY ROUTINE (PART 4) 2 GAMES - BOARD GAME + key AND BATTLESHIP - fully editable. 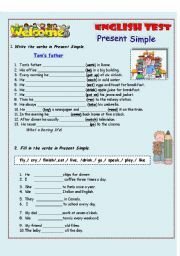 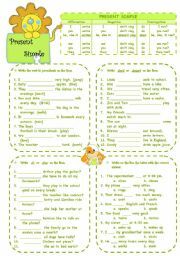 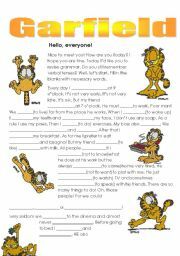 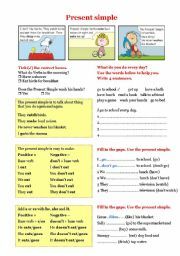 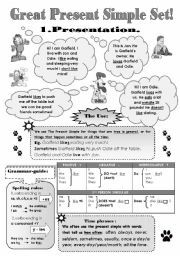 Present Simple ex-s with Garfield. 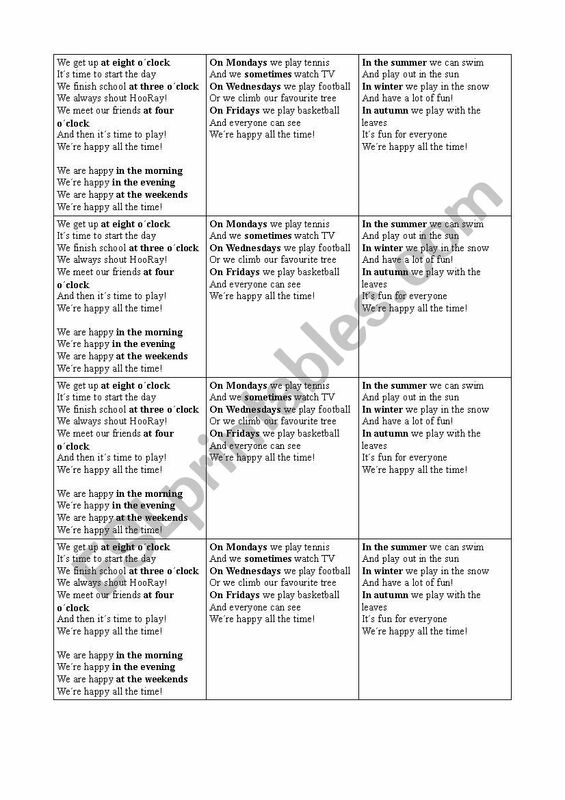 Lyrics of the song "We are happy", from Round-up. 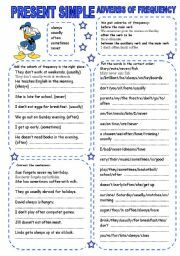 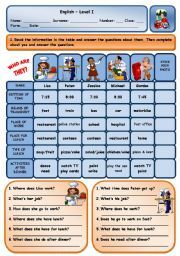 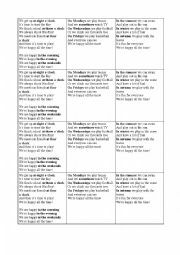 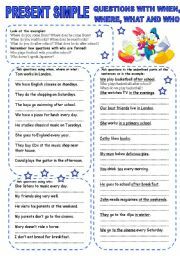 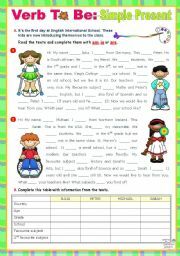 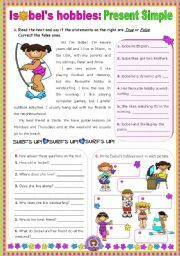 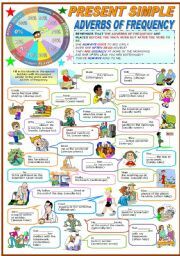 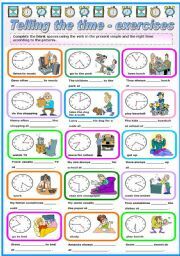 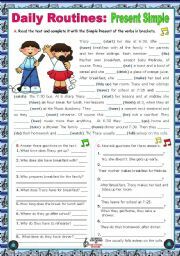 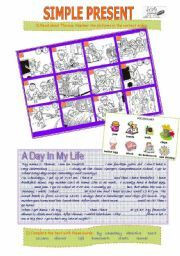 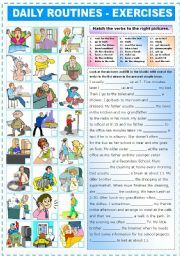 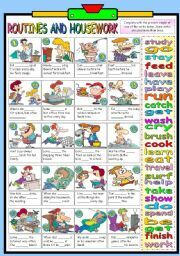 It focuses on daily routines with prepositions of time and adverbs of time.